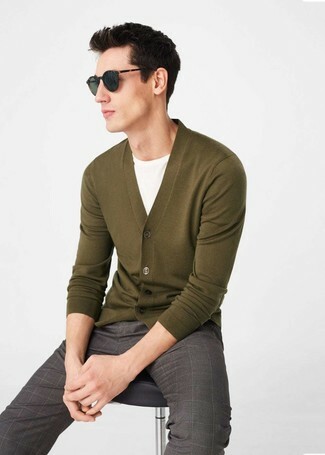 If you're on a mission for a casual yet seriously stylish look, consider pairing a Roberto Collina v neck cardigan from farfetch.com with black skinny jeans. Both garments are totally comfortable and will look great paired together. Turn your sartorial beast mode on and grab a pair of black leather tassel loafers. 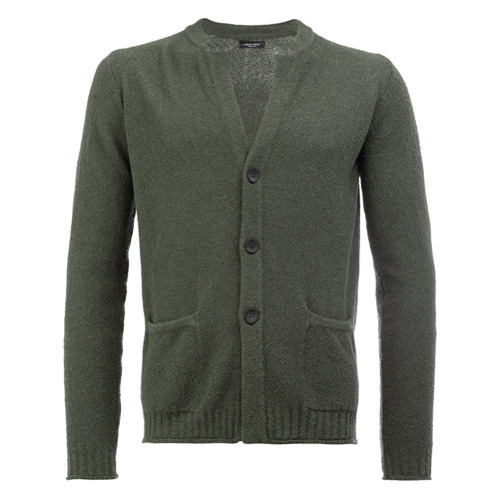 If you don't like getting too predictable with your combinations, consider teaming an olive cardigan with navy chinos. Round off this ensemble with brown suede desert boots. 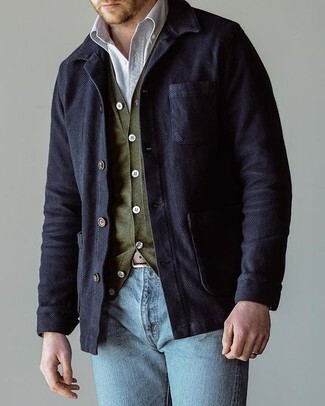 If you're searching for a casual yet seriously stylish outfit, consider wearing a Roberto Collina v neck cardigan from farfetch.com and light blue jeans. Both items are totally comfortable and will look great paired together. As you can see, being a dapper dude doesn't take that much work. 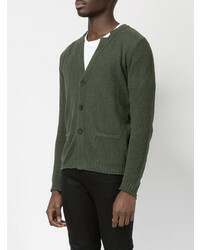 Just wear a Roberto Collina v neck cardigan from farfetch.com with a brown gingham wool blazer and you'll look amazing. 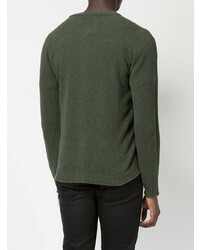 Go for a Roberto Collina v neck cardigan from farfetch.com and blue dress pants for a sharp classy look. Olive leather derby shoes will deliver a more relaxed feel to your outfit. 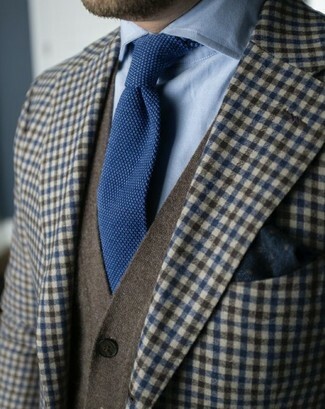 A modern man's sophisticated closet should always include such stylish essentials as a Roberto Collina v neck cardigan and brown check dress pants. 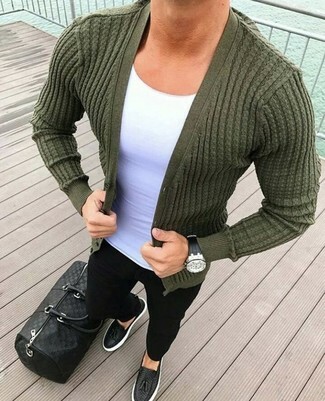 Consider pairing a Roberto Collina v neck cardigan with blue ripped jeans for a comfy-casual look. Dress up this look with brown leather loafers. Dress in a Roberto Collina v neck cardigan and grey wool dress pants for a sharp, fashionable look. 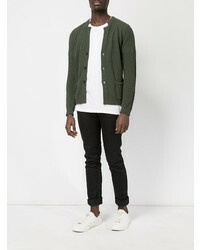 If you're searching for a casual yet stylish ensemble, pair a Roberto Collina v neck cardigan from farfetch.com with navy jeans. Both garments are totally comfortable and will look great paired together. Sporting a pair of black leather casual boots is a simple way to add extra flair to your ensemble.